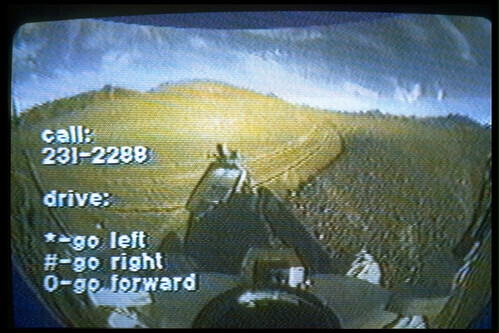 Rover TV was an "interactive" television show that allowed the Pittsburgh TV audience to actively explore a remote environment by giving them control of a robotic rover that was deployed in the Atacama desert of Northern Chile 5000 miles away. 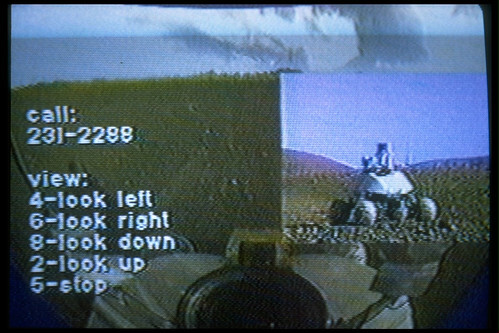 Viewers observed live imagery from the Rover and gained control by dialing a number with their touch-tone telephones. 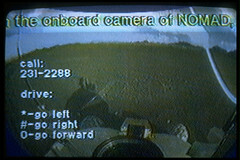 Telephone button presses controlled both camera movements and steering of the rover. Click here to download a news story about Rover TV. 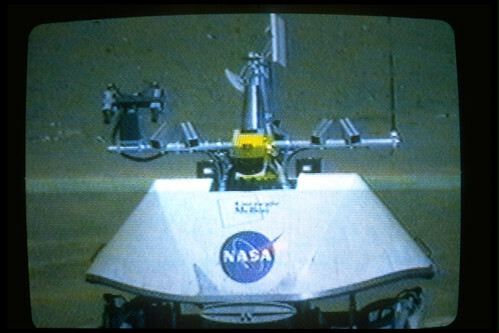 The CME worked with the Robotics Institute at Carnegie Mellon University that developed Nomad, a NASA planetary rover prototype deployed for field trials in the summer of 1997. 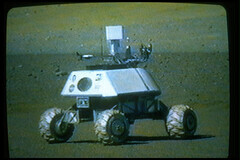 The CME produced Rover TV at PCTV Channel 21 in collaboration with The Carnegie Science Center, The GROK Lab at the University of Iowa, NASA Ames Research Center , and WPXI Channel 11.